Home Biafra Featured IPOB OBAZU MBERI STOOD STILL AS IPOB WIND OF EVANGELISM BLOWS. OBAZU MBERI STOOD STILL AS IPOB WIND OF EVANGELISM BLOWS. It was a great moment for the people of Obazu Mberi of Owerri Province in Imo Biafraland, as IPOB Family Unit was inaugurated on 28th September. The community which hosts the deputy Governor of Imo state felt the aura of Biafra. Biafran men, women and children couldn’t hide their joy, seeing the wind of Biafra coming across Obazu Mberi. 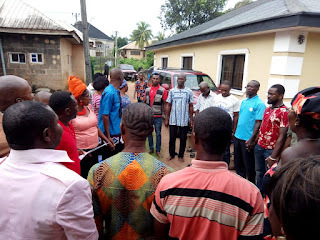 Those who spoke to Imo Media Team (IMT), thanked their son (Mazi Chiukwudi Maraihe) over his efforts to coordinate the establishment of IPOB Family Unit from rivers state. The people poured blessings on their son for his efforts towards the realization of their dream of having IPOB Family Unit in Obazu Mberi. 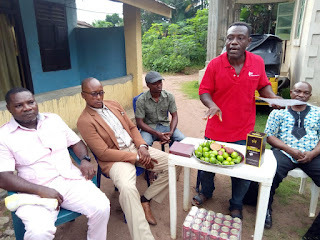 The Owerri Provincial Coordinator (Mazi Abraham Chimakpam) while addressing the people of Obazu Mberi, charged them to be steadfast in evangelizing the Biafran message to the nook and cranny of Mberi. The height of his response was when a man who introduced himself as the Mberi APGA ward chairman demanded if IPOB could go into understanding with APGA in Mberi for “achievement of Ojukwu dream on Ndigbo”. 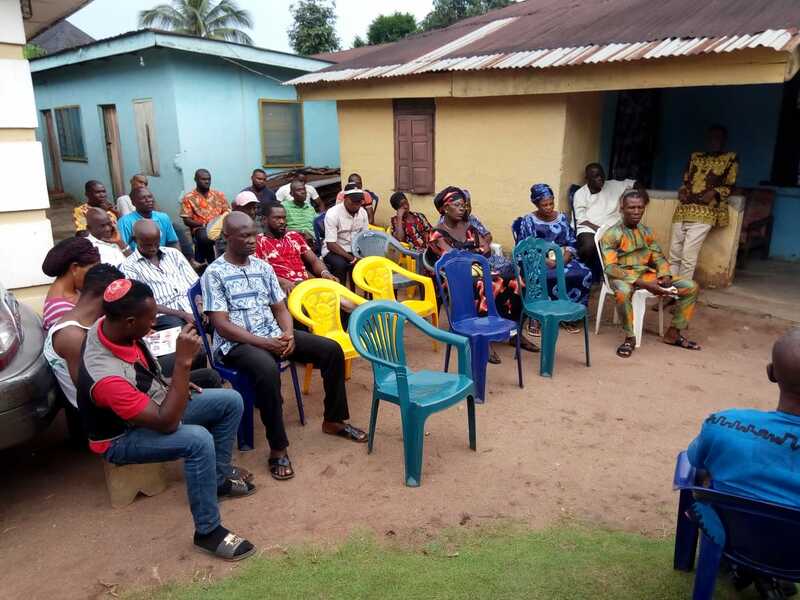 Reacting to the politician’s demand, the provincial coordinator demanded from the man instances of what he has achieved from politics since he joined Nigerian politics. He demanded from the man to convince him if there are new faces in APGA aside those who are impoverishing the people? Lack of facts on these questions, forced the politician to secretly exit among the people. Furthermore, the provincial coordinator told the people to be watchful as more are coming to buy them with “rice and tomato”. The local Government coordinator (Mazi Emegbuonye Umeguzo) admonished Obazu Mberi people to take the assignment before them serious. He urged them to take the gospel of Biafra restoration down to their kitchens. The Mbaitolu coordinator regrettably narrated how one Mathew Ikeagwu who joined Iroanya’s group got Mberi IPOB destroyed with lies after he joined Iroanya Radio Biafra International. IMT Efforts to reach Mathew Ikeagwu was abortive as his line couldn’t connect as of the time of writing this report. The Rivers State Deputy coordinator (Oyanate Dan) who was in Obazu Mberi to encourage the people, told the people of Obazu Mberi to sit up to reality. “As an Ijaw man, we were deceived to think that our Igbo brothers are our enemies. We grew up with this mindset before the arrival of Mazi Nnamdi Kanu. Today, the spell is off from our Ijaw people. Look, Mberi people must reject Nigeria with fabric of their existence. Nigeria is damned and nothing good will ever come out from it. We the Riverline people are the same with the Igbos (sic). Till date, when we want to marry, our mothers always encourage us to come to upland and pick a wife. So, the era of divide and rule is over!”. He stated. The organizer, Mazi Chiukwudi Maraihe who is an Igwuocha base, told his people to keep keeping on. “I was grieved to hear and see how Mathew Ikeagwu ruined IPOB Family in Obazu Mberi. He told you people to pay N500 each in every of your meetings as was mandated to him by Iroanya. That is wickedness and mischievousness. That is what we don’t accommodate in IPOB! Criminals among us can’t last forever, definitely Chiukwu Okike Abiama will fish them out as they wouldn’t last forever. Please my people, I took it as a challenge all the way from Igwuocha to see that IPOB IN Obazu Mberi stands to her feet. We can’t afford to fail! I will give all the necessary support to see to it that every family in Obazu Mberi gets a family unit within them before the referendum date is announced. That we must achieved!,” he said. Various individuals among them were nominated by the people as their leaders. Mazi Abraham Chimakpam while administering the oath of office on them, charged the members of the executive to take their duty serious, and stay away from any act of indiscipline as the leadership of IPOB maintains zero tolerance to indiscipline. Thanking his guests, the unit coordinator, Rev. Uche Ekeoma thanked the Owerri provincial coordinator and the Igwuocha deputy coordinator for their assistance. He prayed for Chiukwu Okike Abiama to grant everyone safe journey to their various destinations.